Police in the Democrat haven of Maryland shot and killed a man in his home on Monday while serving a "protective order" under a new law which allows them to seize people's guns without due process. Since the new gun confiscation law went into effect on October 1st, police have carried out 114 such confiscation orders, which comes out to over 3 such seizures every day. Two Anne Arundel County police officers serving one of the new�"red flag" protective orders�to remove guns from a house killed a Ferndale man after he refused to give up his gun and a struggle ensued early Monday morning, police said. The subject of the protective order, Gary J. Willis, 60, answered his door in the 100 block of Linwood Ave. at 5:17 a.m. with a gun in his hand, Anne Arundel County police said. He initially put the gun down next to the door, but "became irate" when officers began to serve him with the order, opened the door and picked up the gun again, police said. "A fight ensued over the gun," said Sgt. 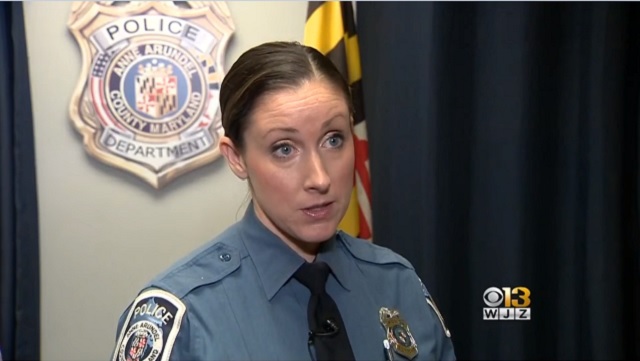 Jacklyn Davis, a police spokeswoman. [...] Anne Arundel County reported 19 such "red flag" petitions in October, tied with Harford County for the most in the state, according to a report on requests made under the new law by Montgomery County Sheriff Darren M. Popkin. The state has reported 114 petitions overall. This is what Democrats want for every state in America. Americans who oppose this lunacy need to get out and vote GOP today like their lives depend on it.